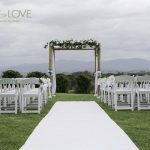 The Vines at Helens Hill is situated in a private estate in Coldstream in the Yarra Valley, about one hour from Melbourne. 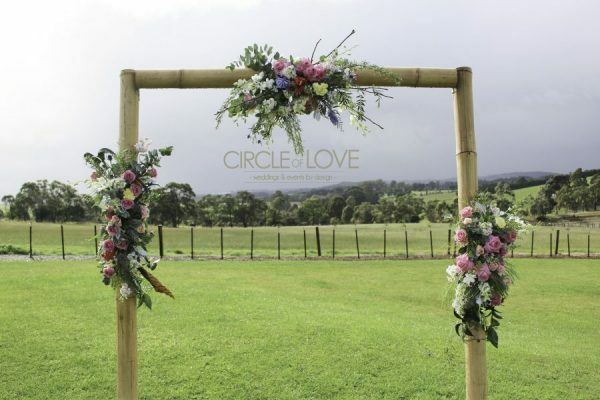 With amazing views over the Yarra Ranges and its well-known reputation, this venue is certainly worth considering. The 5-star cuisine along with matching in-house wine creates the perfect excuse to have your wedding here. 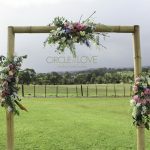 The wedding ceremonies are held on the lawn outside the restaurant on top of the hill. 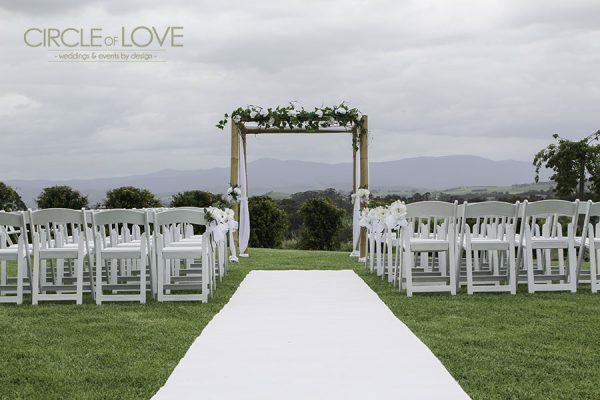 The ceremony equipment is carefully placed to capture the best views over the Yarra Ranges. There are also ample photo opportunities using the vines and over 100 acres of the winery. The modern looking restaurant can hold up to 120 guests with floor to ceiling windows overlooking the vineyards. 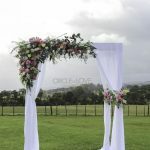 In order to have your wedding at The Vines at Helens Hill, please visit their website and speak to one of their wedding coordinators. 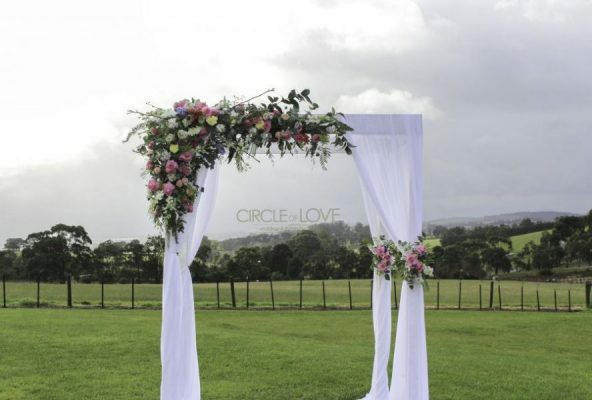 We love styling weddings at The Vines at Helens Hill and have a range of styling options to suit your wedding desires. We would love to be a part of your special day and create a wedding indicative of you so Contact us today for a complimentary consultation.